Sometimes I think I should have been Italian. Growing up I only ever wanted to eat Italian foods and today I'm still obsessed with all of the Italian inspired dishes I can eat (and I cannot wait until I can hopefully one day eat tomatoes again and enjoy many more! ), I eat parmesan straight off the block on its own and I can never have enough garlic. The first time I made this sandwich, Jesse thought I'd lost the plot. I was a week or so post iron infusion, still battling weird food aversions and my brand new sandwich press had me only wanting to eat toasted sandwiches. So Jesse came into the kitchen to find me with bread, crushed garlic, cheese, Gourmet Garden Lightly Dried Herbs, rock salt and the sandwich press. And so he asked me, with a tone that said oh yes, she's lost it "Umm... what are you making?" "A cheesy garlic bread toasted sandwich" I replied. "Wait, what? Garlic bread what? You know garlic bread isn't made like that babe, right?" you can tell who the creative cook in our relationship is - can't you? But I stuck to my idea, because I knew it could be brilliant - and ohhhhhhhhhh was I right. 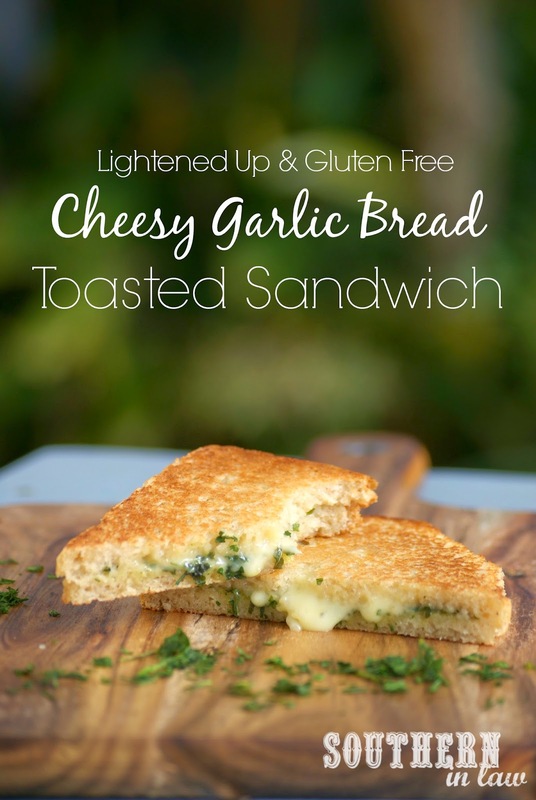 All the delicious flavours of garlic bread, plus ooey gooey melty cheese and it's all wrapped up in a much healthier little package. Oh yes, I learnt Italian too - I told you, meant to be. This toasted sandwich "recipe" is one of my absolute favourites. It's warm, comforting and full of flavour - and so ridiculously easy to make. The Lightly Dried Herbs are my favourite to use, for convenience and flavour, but you can also use fresh herbs. Heat up your sandwich press/panini press. 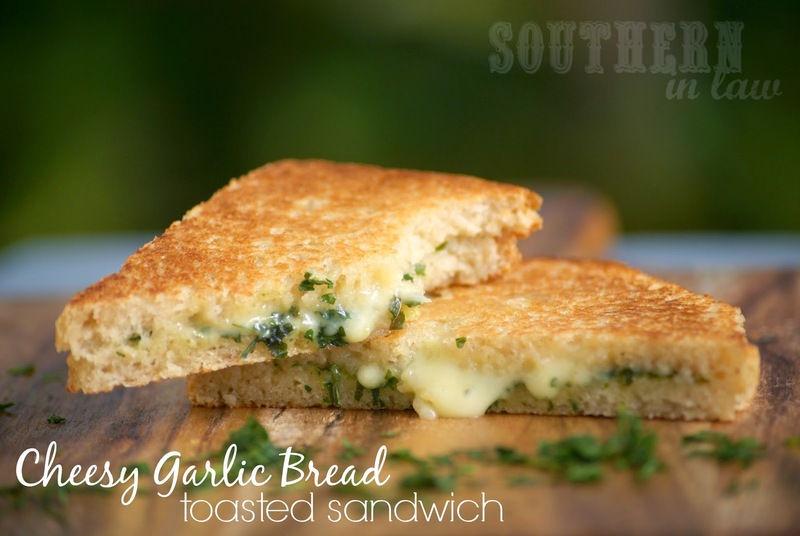 Spread your garlic onto one slice of your bread, top with the herbs and cheese and salt to taste, if using. Place your other slice of bread on top and place your sandwich into your sandwich press. Toast until golden and remove, slicing and serving immediately. * You want to use good bread for this recipe - if I wasn't gluten free I'd love to use wholegrain bread or crusty sourdough but for a gluten free option, use the one that you love. I find that Choices bread toasts much better than other gluten free breads, however, if we don't have any Choices bread at home we'll use one of the Purebred Loaves! But tell me, are you an Italian Food Fan? What's your current favourite sandwich? Jesse's is usually either Vegemite and Cheese or PB&J (Aussie versus American, haha) but I'm loving warm toasted sandwiches or peanut butter sandwiches on gluten free raisin bread! 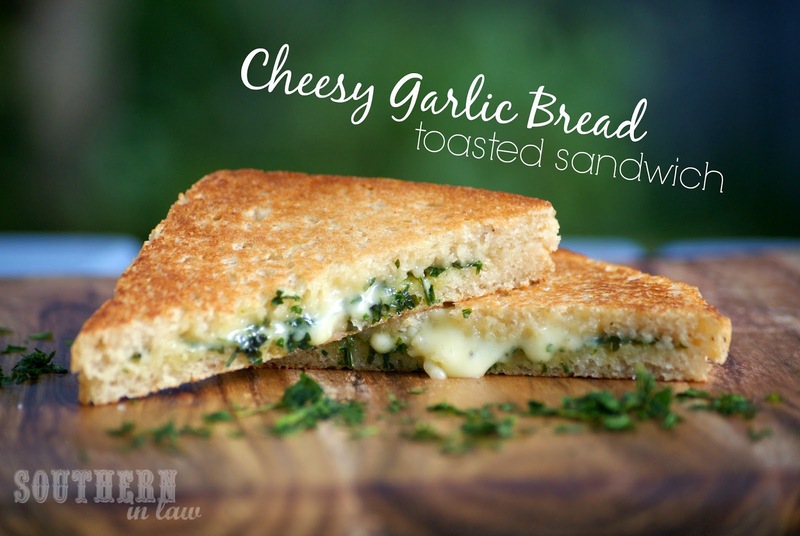 Well these just look so gooey and cheesy and delicious! Now I'm hungry. Haha, that's why it is SO good that these are so quick and easy to make! Gooey cheese is definitely the best!